Skype Advice Portal is an interactive video installation, created for the ‘Can You Hear Me? I Can See You!’exhibition at FACT Liverpool. Sign into your own Skype account and make a video call to Advice Portal (username: adviceportal). ACCEPT incoming video. All messages sent through the Skype Advice Portal are collated and automatically (and randomly) re-presented within the FACT Connects exhibition space as a sci-fi inspired video installation. Portal guardians reserve the right to remove or edit offensive or inappropriate messages, so please, respect this amazing space-time technology and use your words for good! 17th May is the public launch of a new exhibition by Re-Dock, showcasing the Advice Portal project. “Can You See Me? I Can Hear You!” shares our working methodology through video documentation and digital works created with the sheltered housing residents, alongside three new commissions created in response to the project, and developed in consultation with the residents themselves. I’ve been developing a Skype Advice Portal installation for the show, and it’s fair to say I’m pretty excited about it all! My dad even got roped into the project, and features at the beginning of the trailer below in a homage to the new Man of Steel ‘General Zod’ viral. The exhibition runs until 2nd June 2013. I’m currently designing projections for A Wondrous Place – a new touring theatre show by director Chris Meads (Northern Spirit). 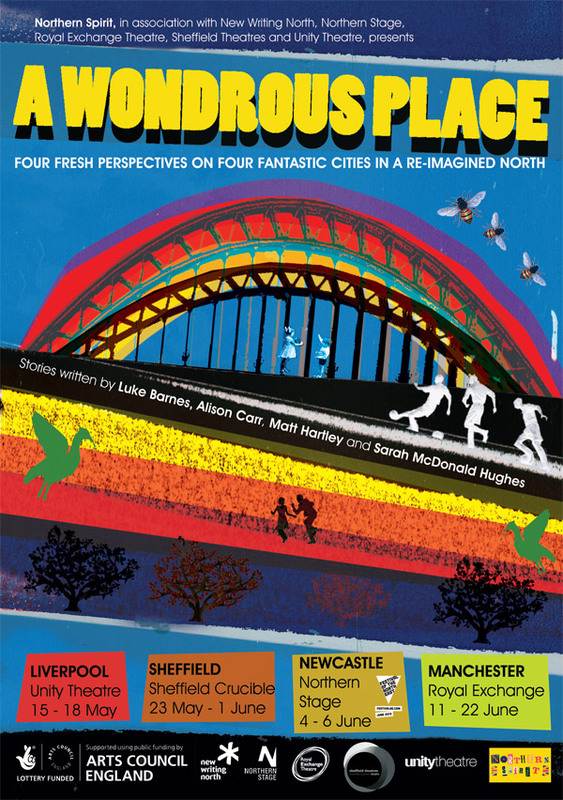 The show features four new pieces, each set in a different city in the North (Liverpool, Manchester, Newcastle and Sheffield), and the creative team are also assembled from across the four cities. The stories all avoid the ‘grim up north’ cliches, instead portraying characters who creatively and imaginatively engage with their surroundings, which means there is some nice potential for clever uses of projection. 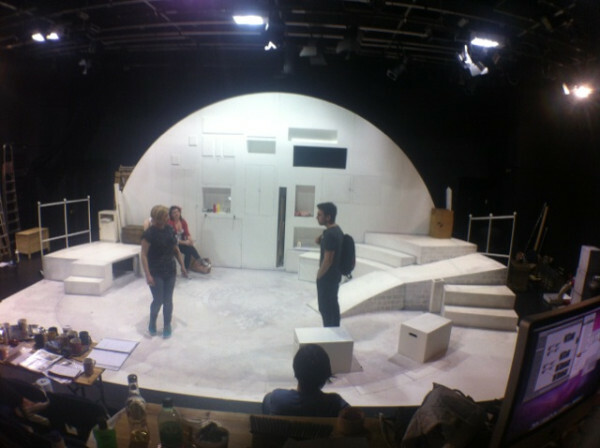 It’s already been an interesting process, working closely with set designer Lois Maskell to establish areas and surfaces for projection, and discussing with Chris about when, of and how it should be used. As well as developing my own video content, I’ve also been receiving short pieces from animator Kate Jessop, which lends another aesthetic to the projections. Beyond that my role becomes very technical, using Isadora to map images and cue transitions. I always enjoy working on the new challenges that a theatre show brings up, and this one is no different. As well as creating new custom user actors in Isadora, I’ve also been getting to grips with projecting across two screens using the Matrox tripleHead2Go. The show opens on Wed 15th May at the Unity theatre, before touring the other 3 cities.